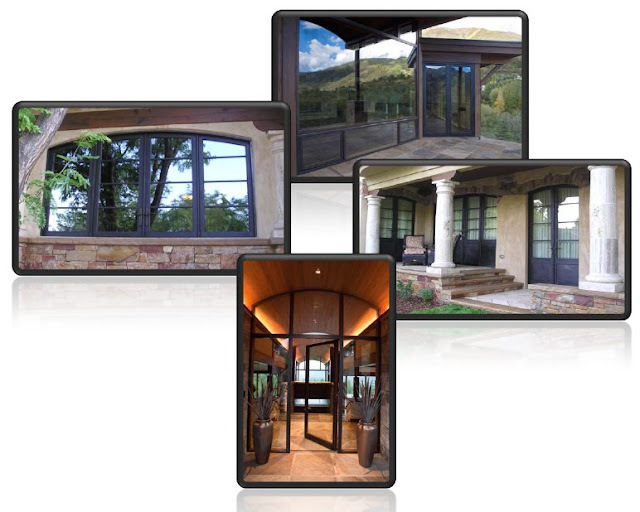 Grabill Windows and Doors has been handcrafting bronze clad windows and doors for nearly a decade and it is the ultimate in maintenance free fenestration products. Custom extruded metal clad profiles to meet the architects design intent. Heavy gauge bronze extrusions mitigate condensation and overheating with necessary ventilation. Simulated divided lite clad muntin bars ranging from 7/8" to 1 1/4" in width. IG's with a shadow bar to preserve look of true divided lite. Bronze sash joints are blind welded for strength and are seamless in appearance. Architectural elegance with durable, robust protection against extreme environments. Gracefully aging patina requires minimal maintenance and timeless beauty. Grabill products are fabricated specifically for the discerning homeowner who desires windows and doors with furniture like qualities. We are passionate about Grabill window and doors products and strive to ensure our prices are equivalent to the luxurious end product. Only the highest quality lumber, glass, hardware and finish are used on a Grabill product and when considering the endless design options available, the unparalleled quality and lifetime durability......a bronze clad window is an affordable option. For more on Grabill Windows and Doors, please visit our website or call us directly at 810-798-2817. New windows and doors look very attractive and just because of this our home looks very beautiful in the street. Only just because of doors and windows we can increase or decrease the show of our home. So they are the main part of the home. Without that no one home is complete. So really thankful to you for posting this blog.